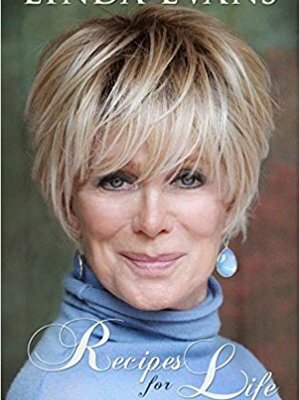 What it means to be "your best self"
Actress Linda Evans has personified beauty and grace to American television viewers for over five decades, from her role as Audra Barkley, a daughter of the Old West on The Big Valley (1965-1969 on ABC) to the glamorous Krystle Carrington on Dynasty (1981-1989 on ABC) to Hell's Kitchen, the British competitive cooking reality show she won in 2009. Linda was AMAZING! Not only was her speech wonderful and heartfelt, she was a doll to work with. Kind, sincere, genuine, accommodating and friendly. To sum it up, she was truly special and we loved having her as part of our event. Linda Evans was the perfect kick-off for our distinguished speakers series. She was gracious, kind, and automatically connected with our audience. Our guests are still talking about weeks after the event. I want Linda to be my best friend!!!! I absolutely LOVE her. Along with the other 299 people she met today. She was fabulous. I'm so serious when I say, out of 28 speakers, she's by far the fave!! !